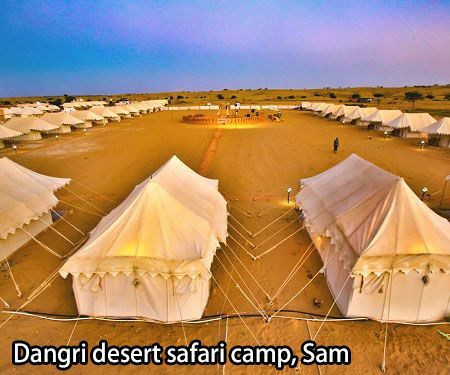 List of top 10 Jaisalmer desert camps in Khuri & Sam sand dunes. Sam is favourite among travellers seeking outdoor activities like jeep safari while Khuri is famous for its village safari tours. 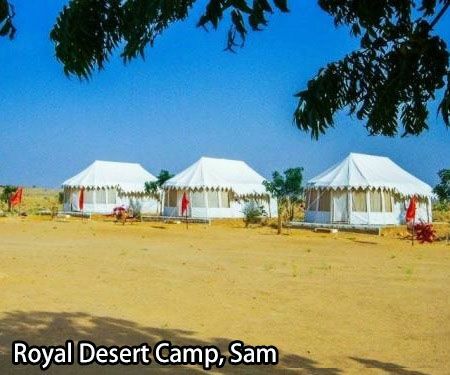 The below list of top 10 desert camps in Jaisalmer offers details on the camps tariff, location, images, etc which you can book directly or ask our team to get the discounted rates. You will also find a stage in the middle of the camp where an amazing gypsy dance & music program is organized every day. Above camp price includes camel safari, dinner, breakfast, musical program & for details on location, contact number, images, click the button below. Camel & jeep safari tours. Camp price fare includes the above 3 services & you can view camp images & why travellers from Gujarat prefers this camp by clicking the button below. 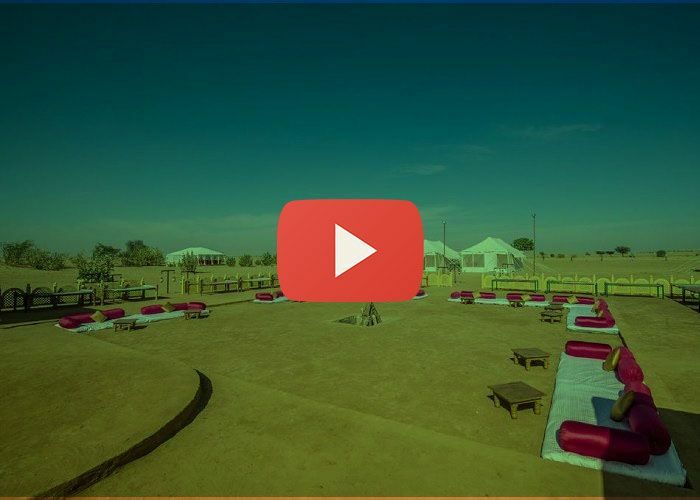 Serai desert camp is the only Luxury camp resort near Jaisalmer & has everything which a luxury traveller want like Pool. Spa, AC tents & luxury safari tours. 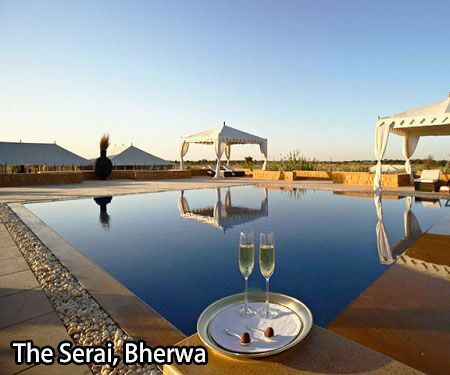 The Serai Camp is at Bherwa which is 132 km from Sam sand dune & 45 km from Jaisalmer city. The camp fare includes fine dinning (dinner, breakfast) and excellent arrangements for safari tours & private dance shows. 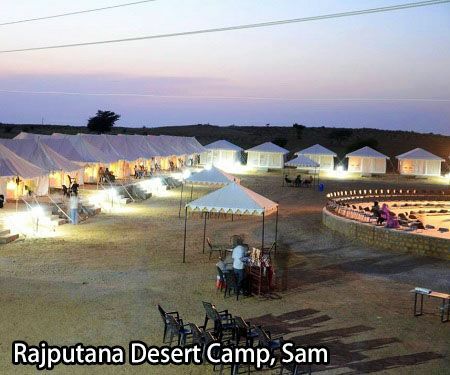 Sixth in our list of 10 best camps in Jaisalmer is Winds Desert Camp, which is 23 km from Sam sand dune. 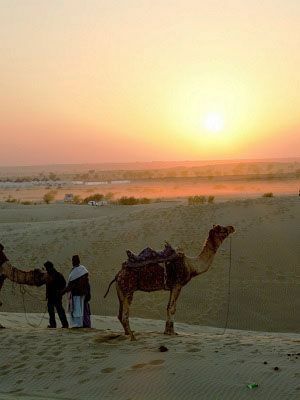 Have a look at our Jaisalmer desert camp packages. View our 2 days/ 1 night Jaisalmer desert camp package, inclusive of 1-night camp stay, desert safari, desert & city sightseeing tour in AC Cab. 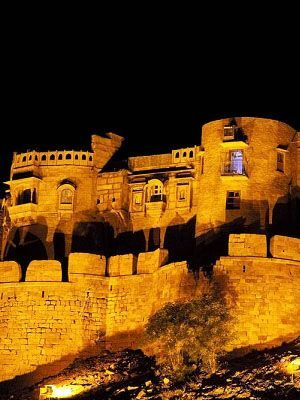 View our All Inclusive Jaisalmer tour packages for 3 days to 7 days with added trips to Jodhpur, Jaipur etc. Call us for a free tour consultation. 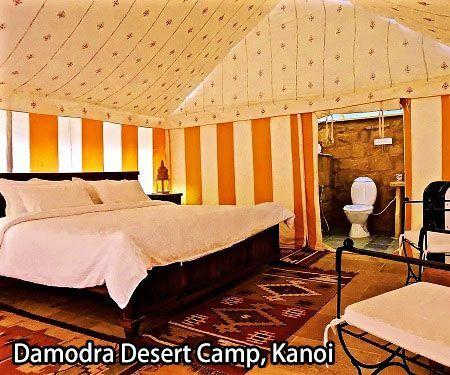 Damodra desert camp is a small but beautiful Swiss camp hotel with 10 camps, a stage for cultural program & a nice kitchen that offers great food. 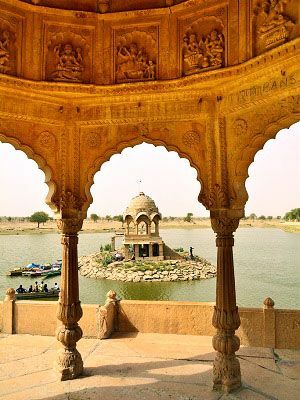 Cam location is in Damodra village which is 15 km from Sam & 30 km west of Jaisalmer. 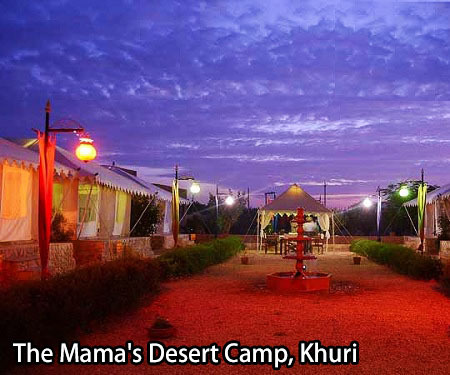 Mama’s camp is an excellent mid-budget camp in Jaisalmer, but in Khuri, which is 40 km from Sam. If you want to stay in a desert camp for more than a day and near a peaceful village, Mama’s camp is an excellent option. 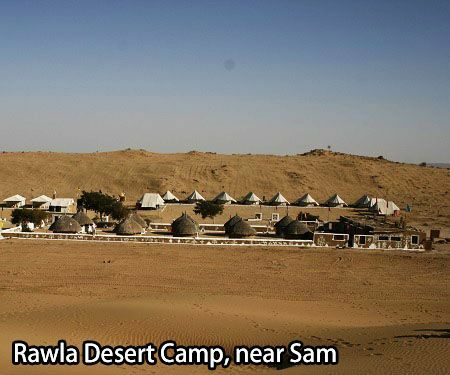 Rwala desert camp is a bit away from other camps in a remote area of Sam, which is perfect for travellers who want to get close to nature in the desert area. The camp offers Swiss tents, mud cottages along with an excellent kitchen serving limited but tasty food. The fare inclusions are dinner & breakfast with a musical dance program. 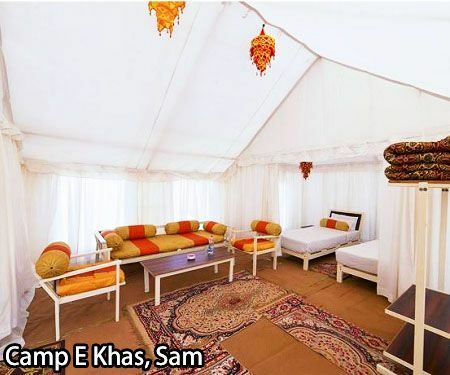 Last on our top 10 Jaisalmer desert camps is Camp E Khas. 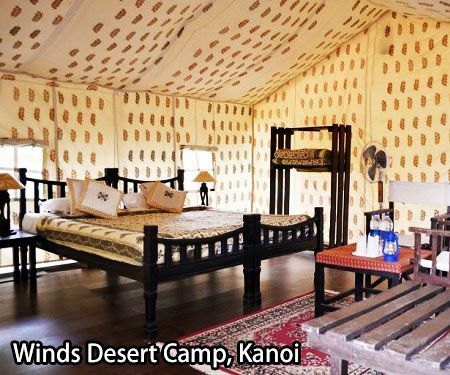 Camp E Khas is a star rated desert camp-site near Sam that offers luxurious accommodation to its guests. Your booking here will offer you a well-designed camp accommodation with more amenities mentioned below. Just google “Santram Hoiidays Jaisalmer” and you find all details. 2. Mail us at voyageschetram@gmail.com or fill the contact form below. Plan a Jeep & Camel Safari tours with us that start for as low as Rs 750 per person. View more details. 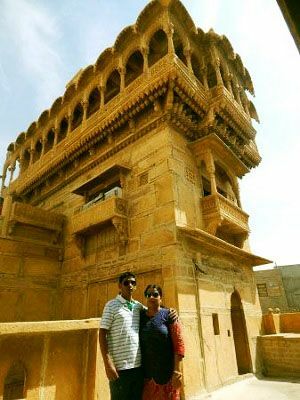 We have more than 5-year experience in planning holiday tours for Jaisalmer for travellers from states of Gujarat, Maharashtra & Delhi.